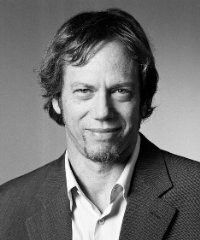 ROBERT GREENE is the author of the New York Times bestsellers The 48 Laws of Power, The Art of Seduction, The 33 Strategies of War, and The 50th Law. His highly anticipated fifth book, Mastery, examines the lives of great historical figures such as Charles Darwin, Mozart, Paul Graham and Henry Ford and distills the traits and universal ingredients that made them masters. In addition to having a strong following within the business world and a deep following in Washington, DC, Greene’s books are hailed by everyone from war historians to the biggest musicians in the industry (including Jay-Z and 50 Cent). Greene attended U.C. Berkeley and the University of Wisconsin at Madison, where he received a degree in classical studies. He currently lives in Los Angeles. In high school, Greene attended a self-proclaimed “surfer school,” where he felt isolated and fell into drugs. After high school, he attended Berkeley and later the University of Wisconsin, where he studied Classical Studies. Learned Ancient Greek and Latin and read the classics. After college, he traveled through out Europe, working close to 80 different jobs, including construction worker, hotel clerk, a skip trace, English teacher, and journalist. His stint as a hotel clerk in Paris would later provide the inspiration for The Art of Seduction. Later, in the United States, he would work as a magazine writer and Hollywood screenwriter. In 1996, he met book packager by the name of Joost Effers in Italy. Effers and Greene were walking outside one beautiful day, and Effers asked: “Do you have any book ideas?” Using what he knew about history, Greene improvised an idea that would later turn into The 48 Laws of Power. Effers liked the idea and asked him to write a treatment for the book. Effers loved the treatment and gave him a book deal. Greene subsequently took a loan from his parents to work on the book for 2 years. After The 48 Laws of Power, Greene worked as a private consultant, assisting high profile figures including business executives, artists, athletes, and even political figures from other countries. Wrote The Art of Seduction and The 33 Strategies of War. 50 cent’s agent contacted Robert to meet up to see if they could work on a project together. After meeting a few times, decided to write a book together. For six months, Greene basically shadowed 50 cent. Using what he saw and experienced with 50 cent, Greene found that the source of 50 cent’s power and influence was his fearlessness and decided to make this the subject of their book. Interviewed 9 contemporary masters (including Paul Graham, Temple Grandin, and Yoky Matsuoka) as well as famous masters throughout history (Michael Faraday, Leonardo da Vinci, and Charles Darwin). His new book will be on the laws of human nature, helping people develop their social intelligence to a higher level. Lives in LA with his girlfriend, artist and filmmaker Anna Biller, and his cat, Brutus. Still consults and is working on film/TV adaptations for The 48 Laws of Power and The Art of Seduction.